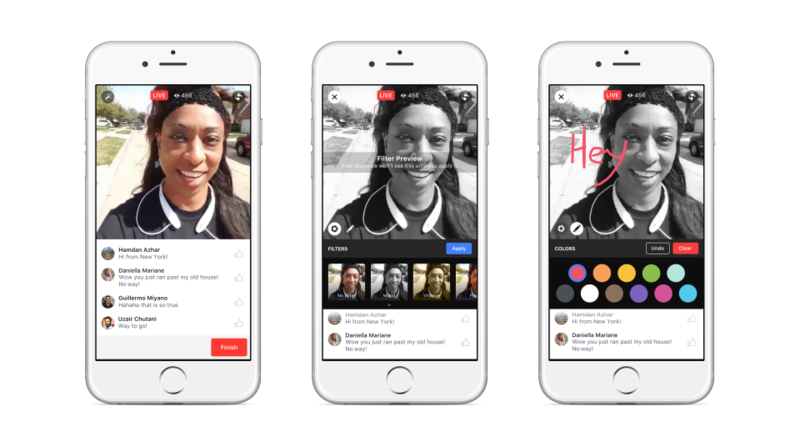 Since launching their Live Video feature in 2015 for users in the US and the rest of the world in February, Facebook is proving to be a popular medium for creating and sharing live video. They have now decided to introduce a range of new features to increase their popularity even further. 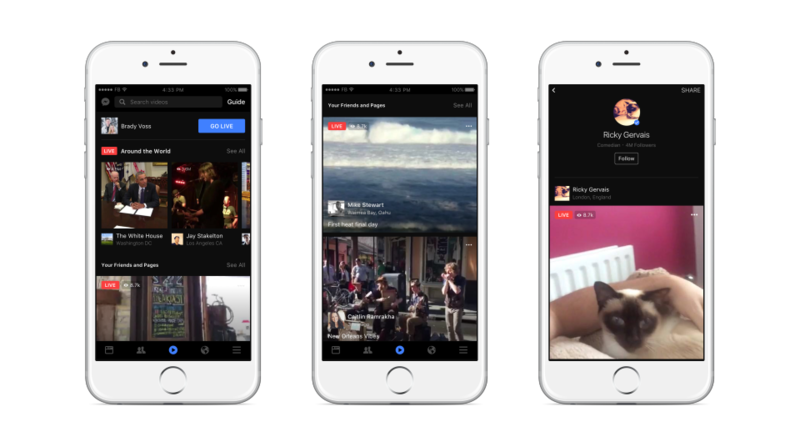 Facebook Live has been updated on iOS and Android to allow users more ways to find, share, and engage with live video broadcasts. 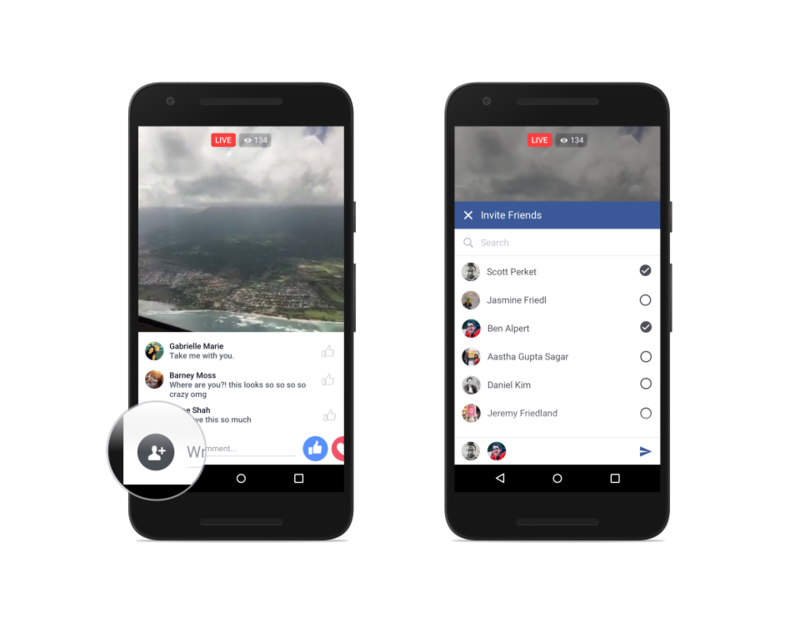 You will now be able to “Go Live” in Facebook Groups and Facebook Events – Broadcast live video to people in your Facebook Group, or from an Event such as a trade show or a live Q&A session. New interactive features have been introduced to make the broadcasts more reactive. You will be able to use the recent additions to the Like feature – Love, Haha, Wow, Sad or Angry to display in real time on top of the video. These reactions will be visible to both broadcasters and other viewers, allowing everyone watching to see how your audience is feeling about the video. When a Facebook friend reacts to a video their profile picture will appear with a starburst effect just before their reaction displays. 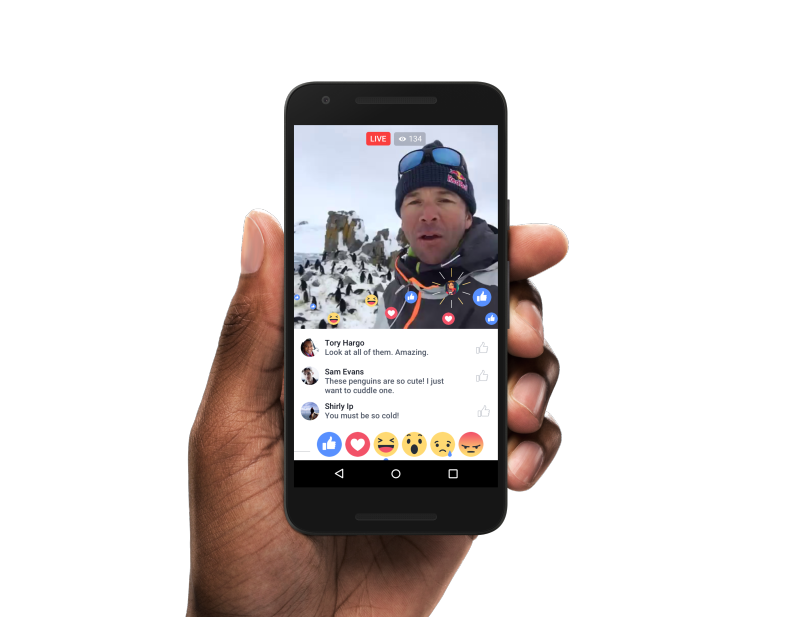 Facebook claim that, “people comment more than 10 times more on Facebook Live videos than on regular videos.” To further enhance the experience of anyone watching the video on playback at a later date, it will also replay all the comments as they happened when the broadcast was originally made. This way any questions & answers will make sense to viewers who didn’t manage to catch the Live event. In a move that draws on features available in Snapchat and Instagram, the video host can choose from new creative Live Filters that include sepia and black & white, and in the near future will be able to scribble, doodle and draw on top of the video during the broadcast. A new option has also been added that will allow users to invite friends to watch live videos together. Select the friend you want to watch the broadcast with by tapping the invite icon and they will receive a notification inviting them to join you. 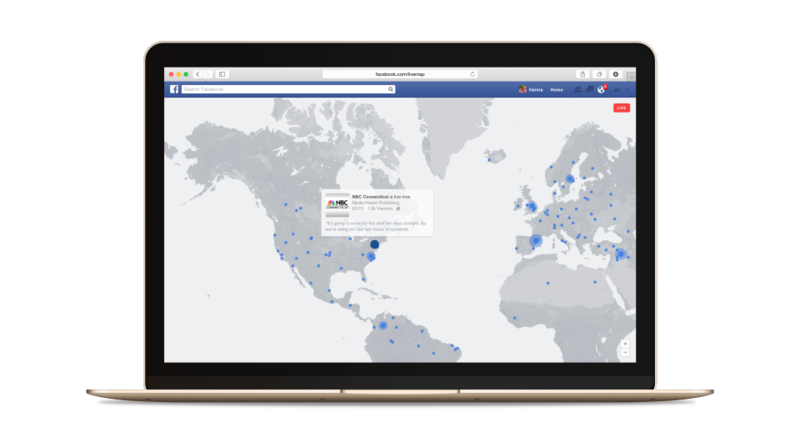 Popular videos from more than 60 countries around the globe will be available to browse in the app and shown on a new Facebook Live map in the Desktop website – which will also display bubbles showing how many people are currently watching the video. This is Facebook’s window on what is happening in the world right now. Privacy settings will available on Facebook Live in the same way the rest of Facebook operates, and all videos must meet with their community standards. A team will monitor that all content complies with the standards, and may issue advance warnings to people in cases where any videos might contain sensitive material. Facebook Live will not available to everyone at launch and will be rolled out over the coming weeks as it looks to take a share of the market from YouTube and Periscope. You Tube are expected to launch their own live service YouTube Connect later this year.